Sampoorna shree yantra kuber bhandar is said to be the most blessed mahayantra. 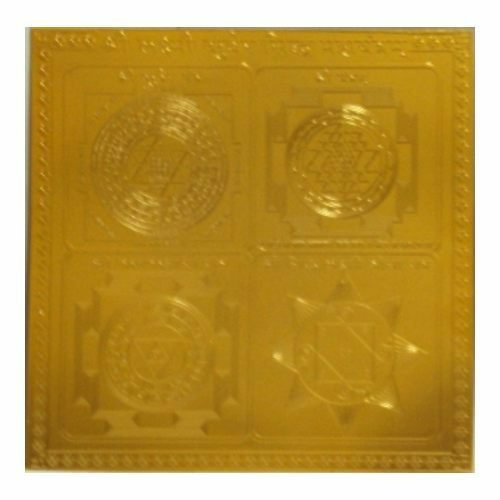 Sampoorna kuber maha yantra is a specialized yantra whose sole purpose is to increase your financial standing. The central kuber yantra is supported by a host of other yantras which deal with the potential obstacles to accumulating wealth. The yantra deals with all aspects of increasing wealth and prosperity but with only that and none other. Very useful for those who wish to feel financially secure before venturing forth into other aspects of life. For all those who wish to increase their earning power, enhance their wealth.